Book News: Novel By Michael Hastings To Be Published Posthumously : The Two-Way Also: Erica Jong on Fear of Flying; Amazon warehouse workers threaten to strike; the best books coming out this week. Michael Hastings, who wrote a candid profile of Gen. Stanley McChrystal for Rolling Stone, died in June in a car crash in Los Angeles. He was 33. 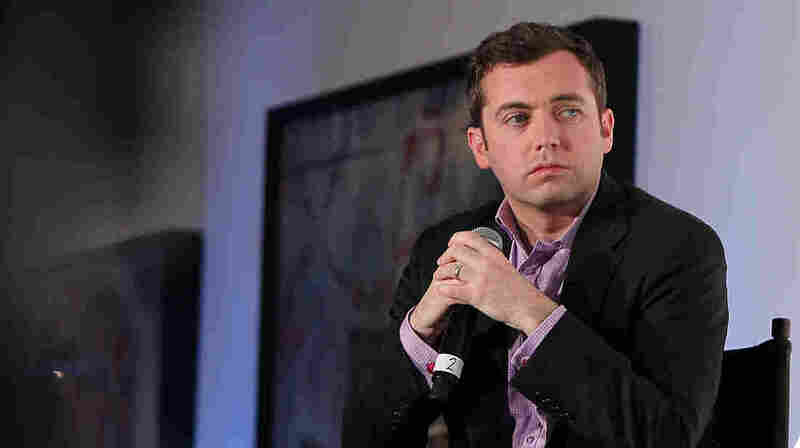 Michael Hastings, the 33-year-old journalist who died in a car crash in June, wrote a novel before he died, according to The New York Times. Called The Last Magazine, it is a "roman à clef about a young, eager magazine intern named Michael M. Hastings" set in the years leading up to the Iraq War. Hastings' wife, Elise Jordan, told the Times that she found the completed manuscript on his computer after his death. The novel will be published next summer by Blue Rider Press. Hastings rose to prominence after his award-winning profile of Gen. Stanley McChrystal in Rolling Stone led to McChrystal's resignation. Amazon's German warehouse workers, who are locked in a pay dispute with the online retailer, have threatened to strike in the lead-up to Christmas. According to Reuters, Heiner Reimann of the union Verdi told Der Spiegel that "if I were Amazon I would not rely on being able to make all deliveries to customers on time before Christmas." Erica Jong spoke to NPR's Susan Stamberg about her classic novel Fear of Flying and the role women were expected to play in the 1970s: "You were supposed to get married, have children, take care of a husband; and that was why there was an epidemic of mad housewife novels in which a woman woke up and discovered actually her sworn enemy was her cranky husband who had made her into a slave. And I truly hated those mad housewife novels. Hate, hate, hated them. Because they were blaming men for something that was not literally men's fault. I mean, we were in a terrible predicament as a society, but it was not the fault of individual men or women. We were stuck in certain roles." The best books coming out this week. John Freeman speaks to dozens of writers in How to Read a Novelist, his collection of interviews of everyone from David Foster Wallace to Toni Morrison to Edwidge Danicat. Freeman carefully excludes himself from the story — except in his memorable introduction, in which he tells John Updike his relationship troubles — which makes the interviews seem a little more impartial though perhaps a little less lively. The interviews are also generally a little shorter than you might want, but it's hard to complain since nowhere else will you find a compendium of snapshots of basically all our most important writers. The protagonist of Dave Eggers's new novel, The Circle, works at a giant tech company that seems like a sinister combination of Google, Facebook and Twitter and goes by slogans such as "All that happens must be known" and "Sharing is caring." In the hands of another writer, this could be clumsy or heavy-handed satire, but Eggers has a gift for the small details that make the novel lifelike, funny and — occasionally — discomfiting.